Blog post with the interactive versions. I started, some 6 years back, creating equirectangular panoramas of The Real World. Over time, I started creating equirectangular panoramas based on imaginary places. 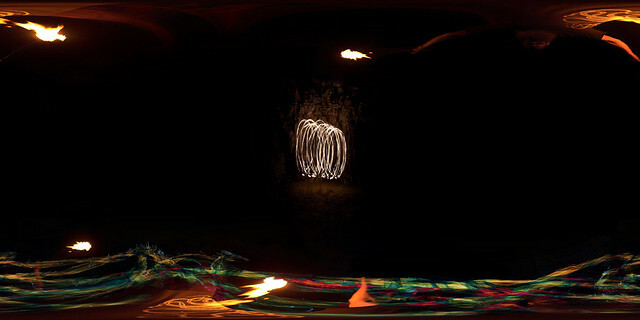 This piece - Conflgration: A Life of Fire - was created using images that I've made whilst fire spinning. This is the first big piece that I've created (it has five 'worlds') and it is also my first proper foray into playing with sound. In this instance, the sounds are also of fire, recorded by a mate during one of our outings fire spinning at a local recreational reserve. Branchlings - Imaginary worlds created with images of branches of trees. I'd appreciate any feedback you may have.